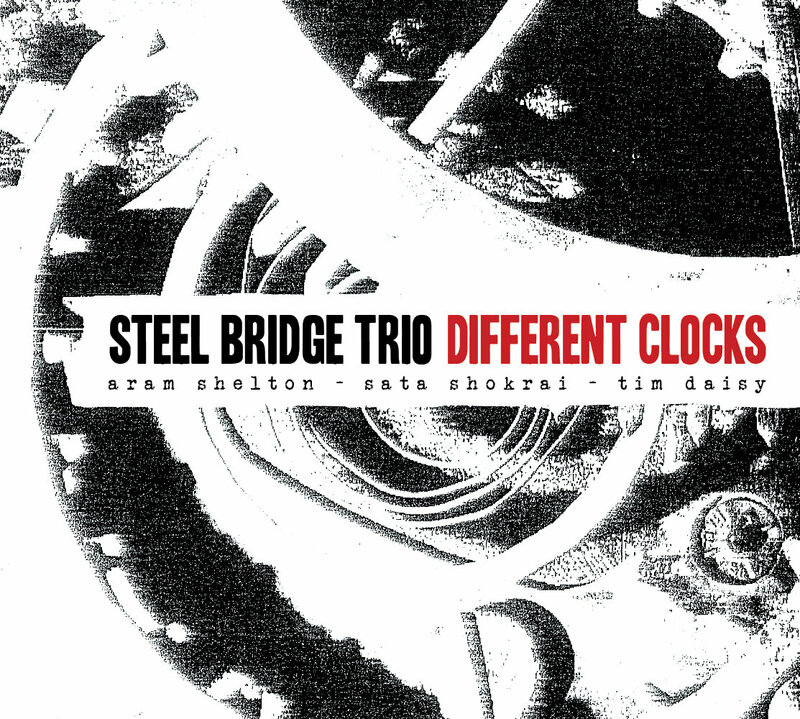 Different Clocks is the debut recording of drummer/composer Tim Daisy’s other trio, Steel Bridge Trio, which features Daisy - splitting time between percussion and vibes – with reedman Aram Shelton and bassist Sata Shokrai. The compositions here are melodically and harmonically sophisticated structures constructed primarily of lines that wind around each other and intersect in surprising ways. They are meticulous and functional pieces performed with the finest precision. The title is apt. Daisy and Shokrai kick off the disc's title track with architectural solidity. The melody itself borrows heavily from Ornette Coleman. Shelton makes attempts to enter the perpetual groove from every possible angle, occasionally succeeding in finding an opening; then he scratches and claws the thing from the inside before being heaved out by the rhythm section. He's an annoying animal that wants in when he's out and wants out when he's in. “Montrose” follows with Daisy stiffly playing the melody on vibes as Shelton and Shokrai provide ample counterpoint. I'm reminded a bit of Mary Halvorson’s approach to rhythm and arranging - if not melody - in the careful construction of the piece's framework. Daisy’s vibe break over the bass line is perfectly executed, playful and precise, agile but never showy. Shelton also takes a brilliant solo that echoes Anthony Braxton’s angular-but-smooth style. “Scraps” and “Some See Hope” are both beautiful compositions, with the former pulling loose ends together to create a transcendent ending. The latter track is a perfect example of the “winding melody” concept, subtle, gorgeous, and incredibly smart. “In Times Like These” also features the intertwining lines of melody that mark a Daisy composition; but it also explodes in a free blast of fire music before returning to its central theme. “Stone Trees,” the closing track, patiently moves toward its goal of turning the music into a swirling constellation of melodic beauty. The buildup is truly stunning. This is another recording on which Mr. Daisy’s writing skills rival his musicianship. Shelton, Shokrai & Daisy do not gel in the same way Vox Arcana does; but that’s expected. Vox has been together for years. 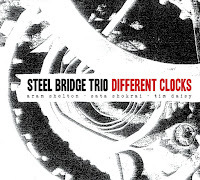 Given the same amount of time, Steel Bridge Trio could become every bit as cohesive and great. The birth is very promising indeed. Please note that comments on posts may not appear immediately - unfortunately we must filter for spam.